Now, there has been a tremendous amount of controversy over this film, some of it from internet idiots who, for some reason, just didn’t want to see women in the role of paranormal investigators and eliminators. Then there are others (like myself) who just thought that from what the trailers showed, it simply looked terribly unfunny. After so much internet vitriol from people who hadn’t even seen it yet, my expectations were so low that I wasn’t even going to see it. Ultimately, I felt it warranted seeing to at least make an intelligent argument one way or the other and that with my sister with me, it would be a fun journey to take either way. I’ll admit that the film had me for the first five minutes, I really liked the intro and the humor felt really clever and natural. There was also a nice bit of suspenseful buildup, which I thought was nice. Unfortunately, once the main characters are introduced, it all sort of goes down hill from there. This film is so tonally inconsistent that one minute you’re in a believable New York City with a pretty interesting overall plot, to a downward spiral of fart jokes, falling down gags, fourth wall meta jokes about Youtube commenters, sexism, racism and even a 2D animated Ghostbusters logo that morphs into a giant 3D animated Ghostbusters logo that goes on a citywide destructive rampage…it is horrendous. This movie has NO idea what it’s trying to do. At all. It really feels like it’s trying to play to the lowest common denominator movie goer. “This is a movie for morons” as my sister so succinctly put it. There are a couple redeemable qualities to this dumpster fire…1) It looks beautiful. Ghost designs are visually interesting and vibrantly colored to such a pleasing effect and all of the Ghostbusting equipment is really clever and original, with some fun science speak that just makes it seem plausible. 2) Kate McKinnon. My god, Kate McKinnon is so fantastic. Whatever movie she is in in her own mind, is so much better than what is actually happening around her. I absolutely adored her performance in this. Every second she has something to do in this movie, she is totally stealing the show. 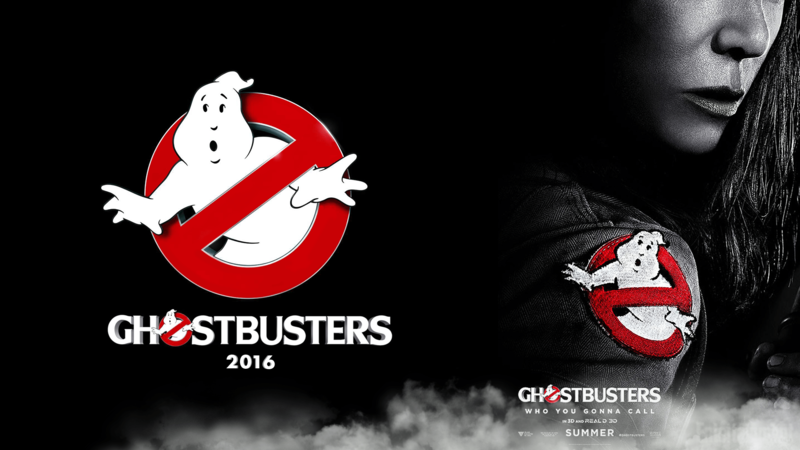 Unfortunately, overall Ghostbusters totally misses the mark. Which is a shame, because it really feels like there might be a good movie somewhere in that mess, but it just doesn’t work. It tries to do way too many things at once and it ends up a tonally inconsistent, unfunny mess of a film as a result. Oh yeah, the credits/post credits sequences are mind bogglingly terrible, so be sure to stick around for those!